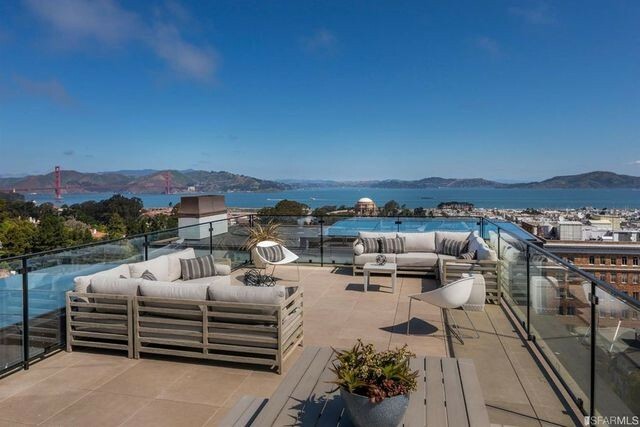 San Francisco sets the bar when it comes to pricey properties. The median price for a home sale here is currently a wallet-sapping $1.37 million. But the price of this majestic mansion on Vallejo Street might even give jaded locals pause. 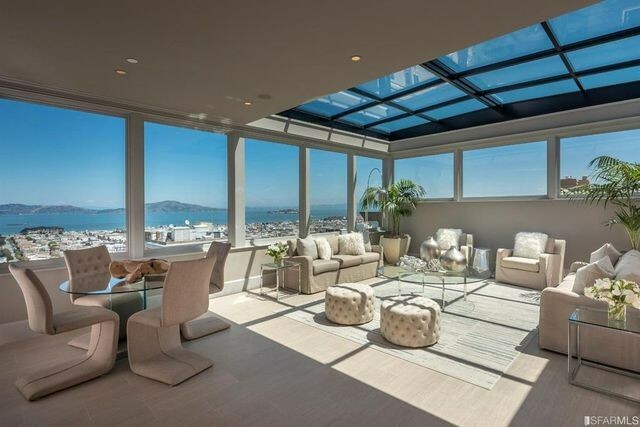 At $29 million, it’s currently the most expensive listing in the City by the Bay. The gloriously restored and renovated mansion was quietly shopped around last summer but had no takers. As we reported in 2014, the well-appointed manse designed by Louis M. Upton was owned in the early 2000s by Vanessa and William Getty. William is a grandson of oil magnate J. Paul Getty, and Vanessa is a philanthropist who champions humanitarian causes. 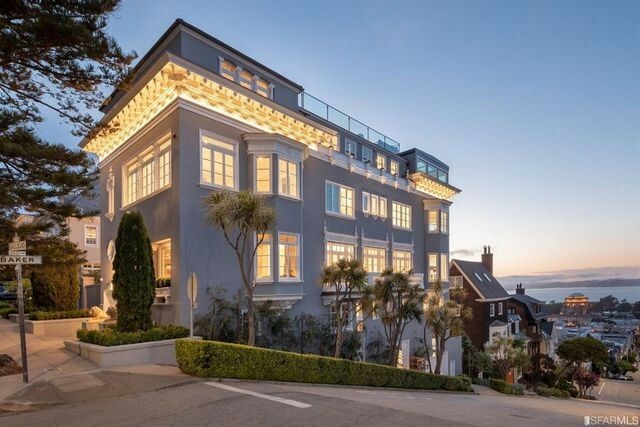 In 2014, the glamorous pair listed their Pacific Heights home for $15.9 million, eventually reducing it to $14.5 million. Real estate developers purchased it in 2015 for $12.5 million. 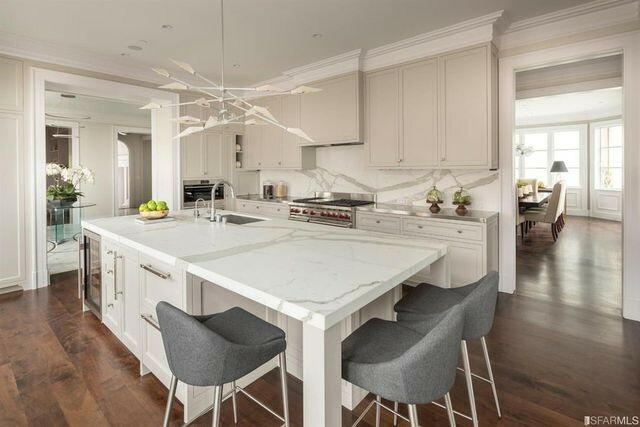 “The purchase was made to bring the property back to its original integrity and elegance,” says listing agent Ludovico Mazzola. A few years, millions of dollars, and major renovations later, the price has more than doubled. The upside for a potential buyer is that no work is required—except to unpack. And you can live like a Getty! Actually, better than a Getty. “It’s really a substantial remodel. Every surface was touched when they did this home,” Mazzola says. 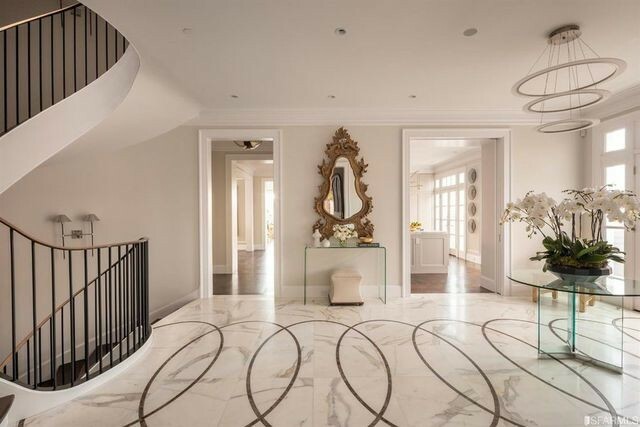 The home was also seismically upgraded with steel beams, and features rich marble flooring, an elliptical grand staircase, and a sky lounge with a retractable roof. 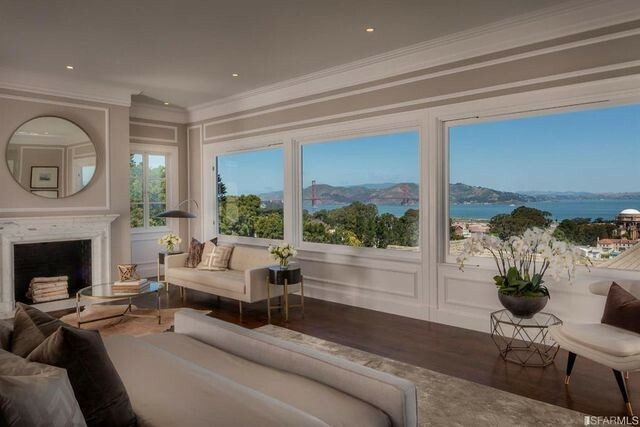 While San Francisco doesn’t have an abundance of sunny days, the skylights, French doors, and large windows in the home bathe it in natural light. 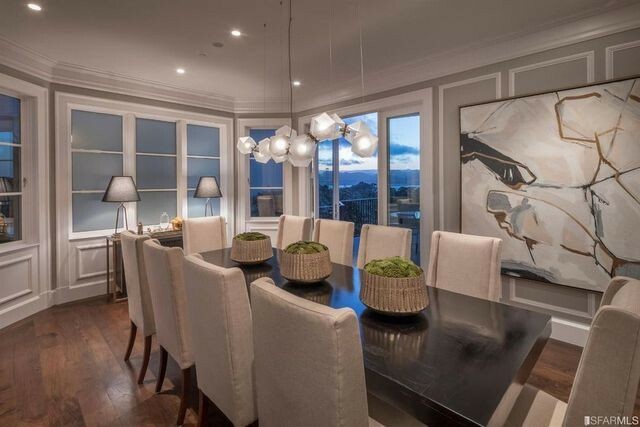 The 9,700-square-foot, five-level home has six beds and 8.5 baths. It sits on a corner lot on a hill, with lovely views of the city, bay, and bridge. The Presidio, a national park, is just down the street. Luxe amenities include an elevator, a basement with gym and sauna, a wine cellar, a guest suite with kitchenette, and a four-car garage with a hydraulic lift and adjacent office. There’s also a one-car garage. Other perks include a family room, two guest suites, an eat-in kitchen, formal dining and living rooms that open to a patio, and a rooftop deck. Multiple terraces and a fountain also offer outdoor space for entertaining and dining.